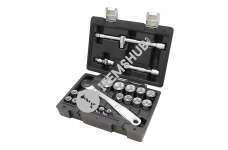 Variable mounting possibilities on the hull side or front, but also on the flatbed bottom mountable., May be Drilled at each of the reinforcing ribs, recommended attachment with four screws. 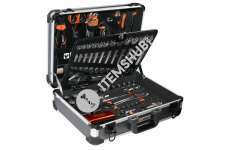 Can use l..
1/4 "equipment: 13x sockets: 4-4,5-5-5,5-6-7-8-9-10-11-12-13-14 mm 1x ratchet reversible 48 notches 1x articulated cardan 2x extensions: 50-100 mm 1x screwdriver socket h.. 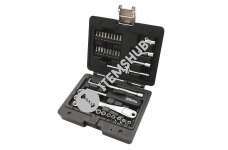 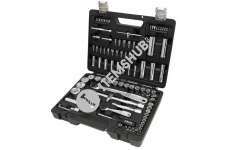 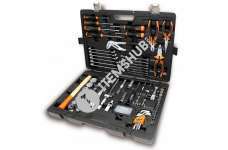 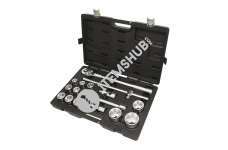 This Beta Tools Easy tool set 2056E/E contains 146 of the most commonly used hand tools in a lightweight but durable aluminium case, making it an indispensable set for DIY enthusiasts and hobby mechan..
91-part range of tools for general maintenance, in sheet metal box.550x200x210 mmContents tool box:Inlays filled with,1/2 "Socket set 10 - 32 mm + Ratchet, elbow18 mm crushing knife, pipe wrench, 1.5 .. 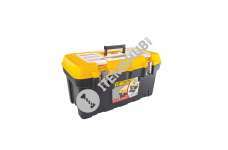 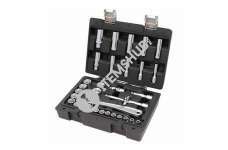 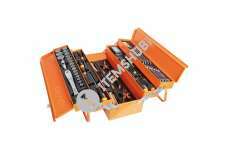 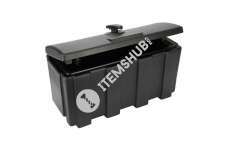 Beta 024002293 tool trolley Orange 2400S-O8 / E-XL Beta Easy. 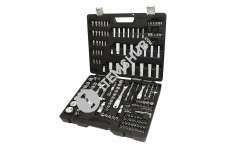 Filled with tools, 384 pieces and fitted with eight drawers. 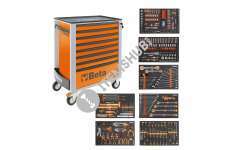 Beta Easy is a selected line professional hand tools with a unique price-perf..